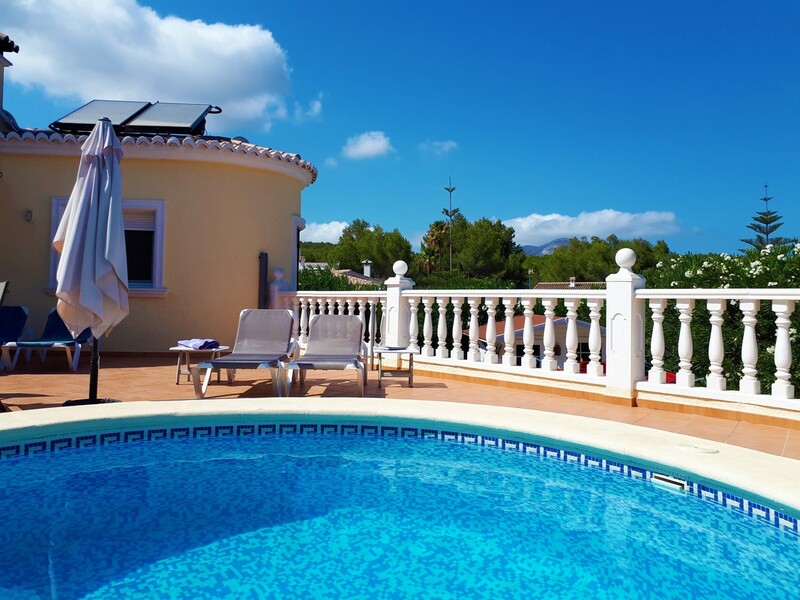 Villa Myro is a beautiful detached villa with a lovely private swimming pool. 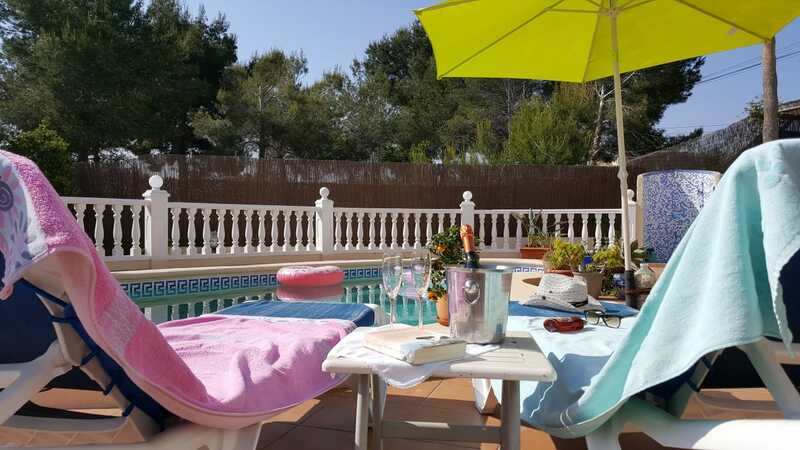 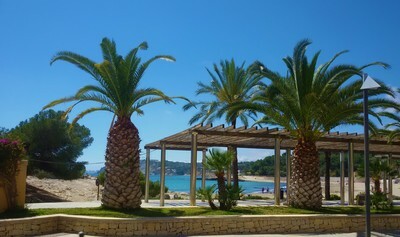 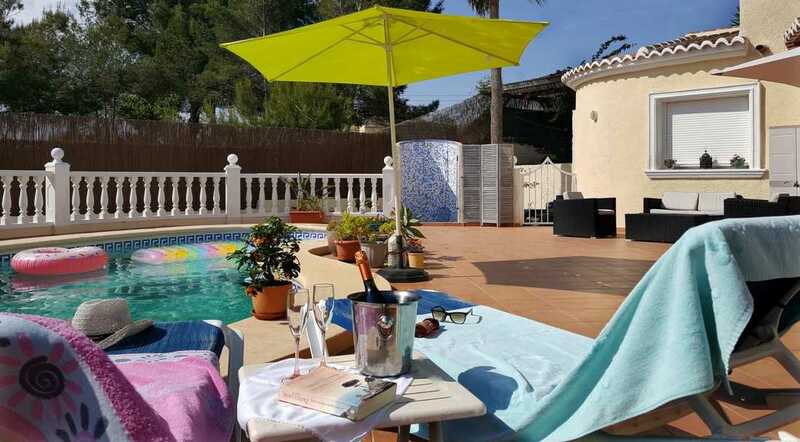 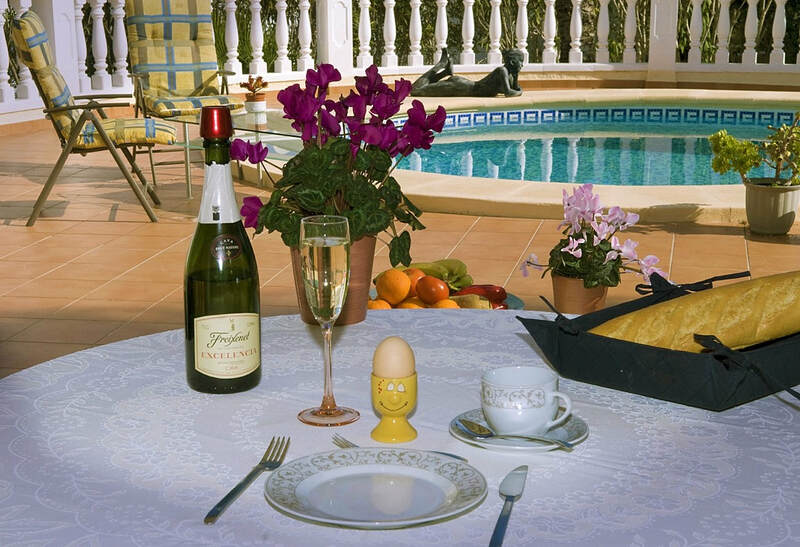 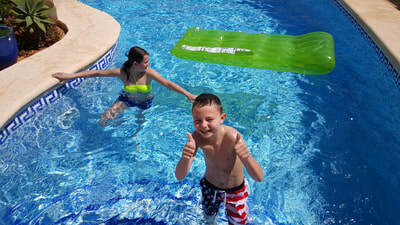 It is located in a beautiful green area between the towns of Moraira and Javea. 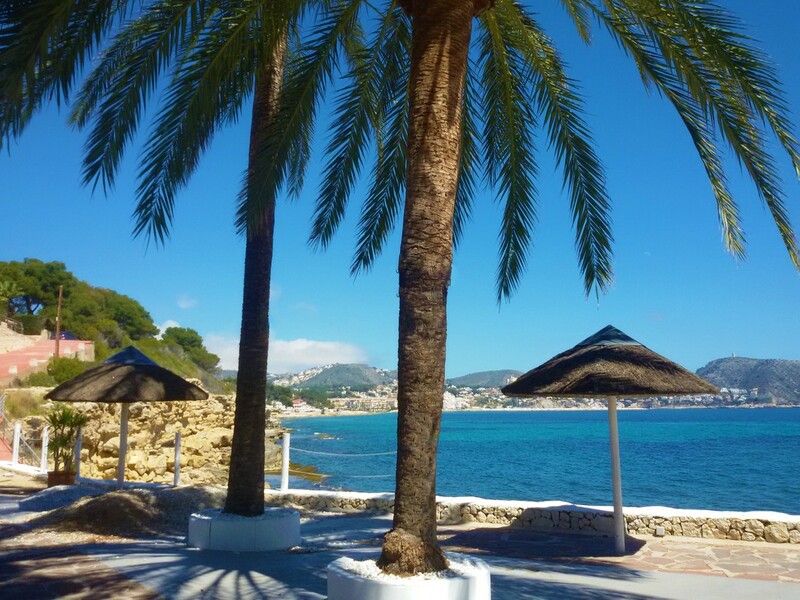 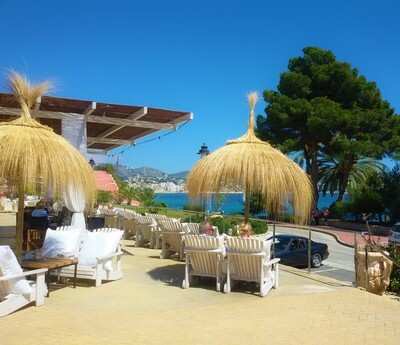 In just a few minutes’ drive you will find the large beaches of Javea or the smaller beaches of Moraira. The center of Benitachell is 2 kilometers away. 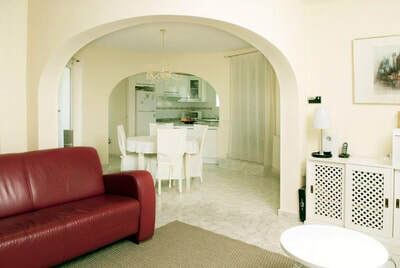 The villa consists of an open plan kitchen, dining area, living room with TV, a DVD player, Wi-Fi, 3 bedrooms and 3 bathrooms. 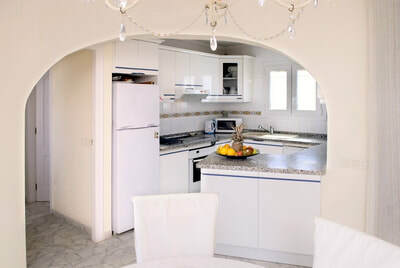 The kitchen has an electric stove, electric oven, microwave, dishwasher, fridge-freezer, coffee maker, toaster, juicer, etc. 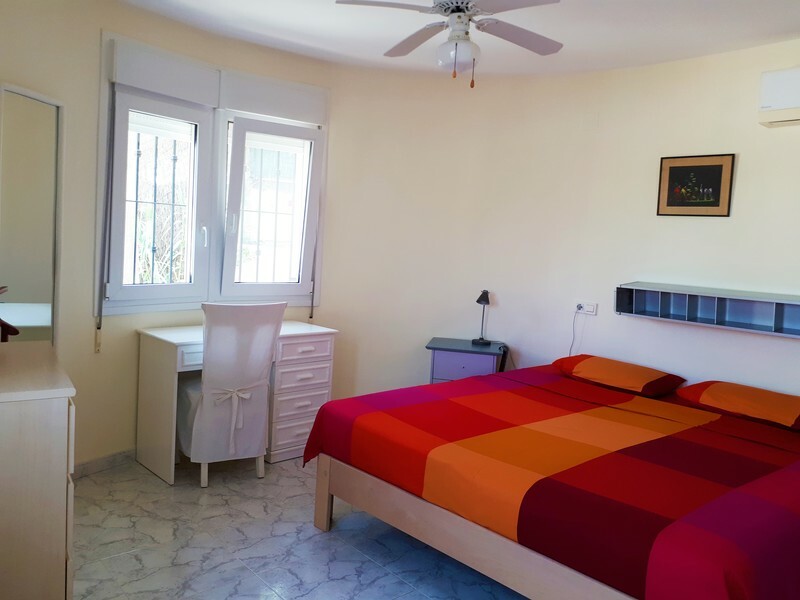 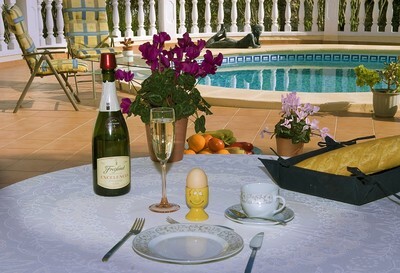 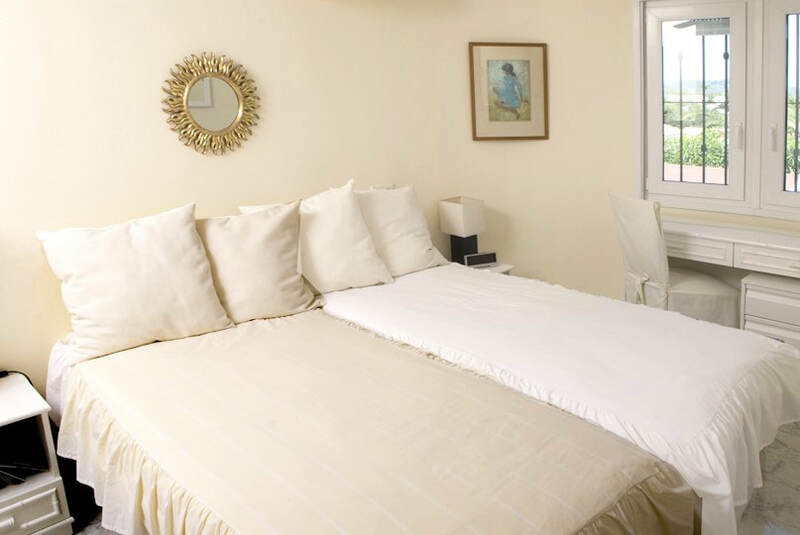 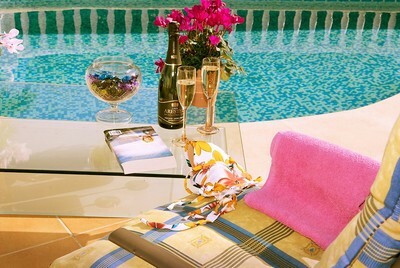 All bedrooms have air conditioning, fitted wardrobes and a view of the swimming pool. 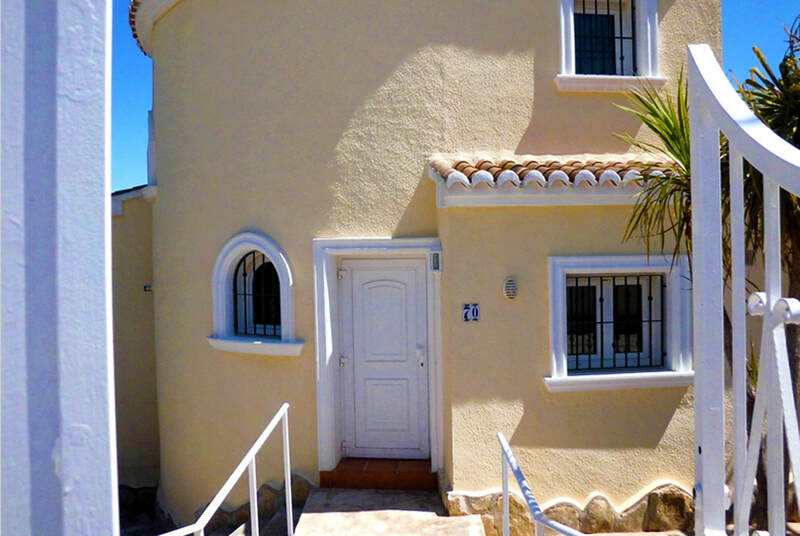 Two bedrooms are on the ground floor and one bedroom on the upper floor. 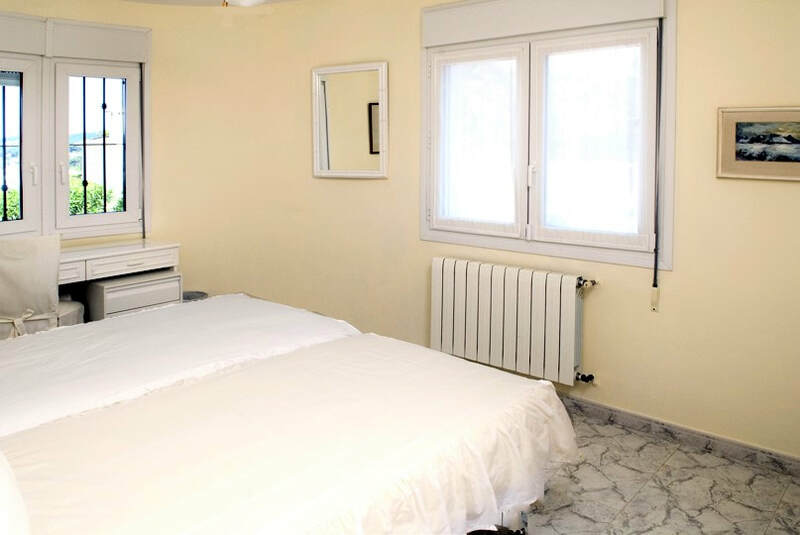 1 bedroom has a double bed. 2 bedrooms each have 2 single beds. 2 bathrooms have a sink, shower and toilet. 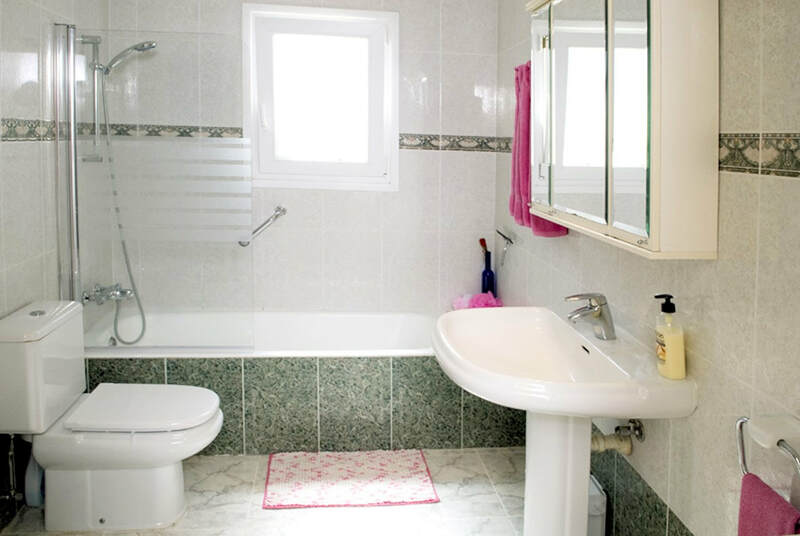 1 bathroom has a sink, bath / shower and toilet. 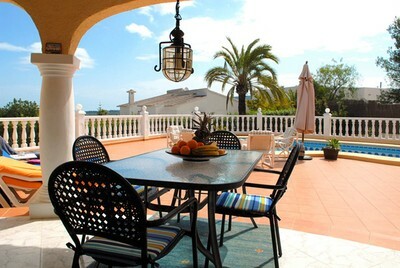 The villa stands on a fenced plot surrounded by a beautiful garden with gravel and Mediterranean plants and palm trees. 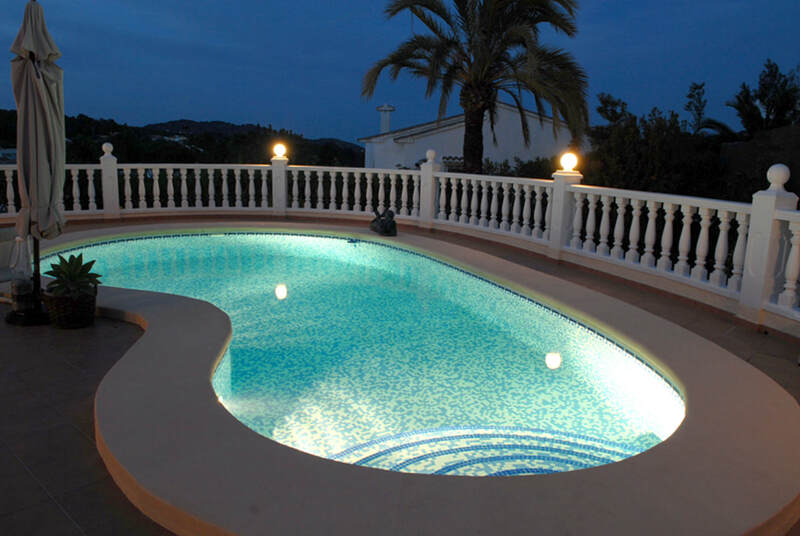 The private pool is kidney-shaped (8m x 4m) and is 1.90 m deep at the deepest point. On the terrace there are sunbeds, garden furniture and a covered outdoor dining area. The upper bedroom has a roof terrace. 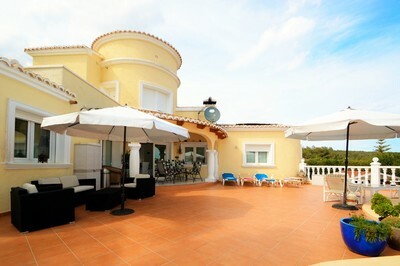 From the roof terrace you have a beautiful view with a strip of sea view. There is an outdoor shower by the pool. 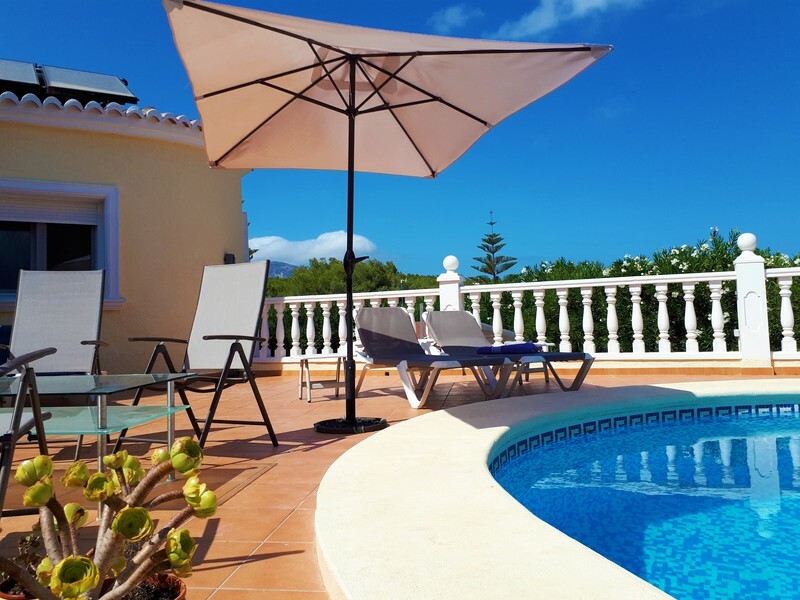 Parking is possible under the carport to keep your car in the shade in summer. Villa Myro is a wonderful villa in which you will enjoy your holidays to the fullest. 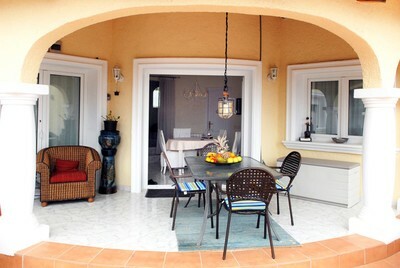 This villa is only available from June - September. A security deposit of €300,- is required.